Christ-centered, Pro-life organization whose aim is to reach abortion-minded women and women facing unplanned or crisis pregnancies. We help by empowering women through counseling, support, and education. 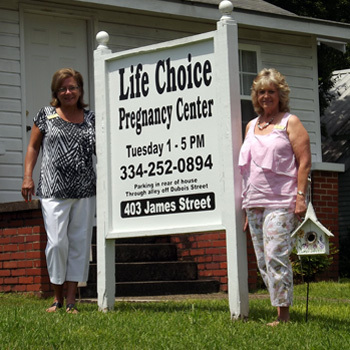 The LifeChoice Pregnancy center is devoted to reaching out to women who feel confused and abandoned due to an unplanned pregnancy. Our staff and volunteer client advocates create a safe environment where all women receive education and support. Come to LifeChoice for your FREE pregnancy test and FREE counseling. *Not Intended as a substitute for professional counseling. LifeChoice does not perform or refer abortion.